Just before the end of World War II, vets started coming home en masse with visions of importing and driving the zippy little roadsters they saw overseas. A group of well-off men in Boston, slighted at the attention already being paid to veteran cars, decided they needed a club just for those with an interest in sports cars. And while it seems inconceivable 75 years later, the founders of the Sports Car Club of America didn’t care much for racing their cars. Just a month prior, on February 26, a group of seven well-off sports car enthusiasts gathered at the home of Chapin Wallour on Mount Vernon Street in Boston to discuss their mutual interest. (While they didn’t mention “the existing car clubs” by name, the SCCA’s founders likely implicitly referred to the Veteran Motor Car Club of America, which got its start just six years earlier at Boston’s Statler Hotel, located just on the other side of the Boston Commons from Wallour’s house.) Wallour was elected vice-president and Ted Robertson president. They even organized their first meet that July. As the SCCA itself pointed out, the club’s rules at the time were rather stuffy. Membership was restricted to owners of sports cars who obtained sponsorship in the club from an existing member and whose acceptance into the club had to be approved unanimously by the club’s officers. Club members could be ejected for “voluntarily disposing of your last remaining sports car,” selling a sports car without going through the club first, sniping another club member’s attempted purchase of a sports car, or (a real concern given the scrap drives during the war) breaking up a sports car or allowing a sports car to be broken up. Given that war still raged around the globe at the time and that racing activities in the United States — everything from the Indianapolis 500 to dry lakes racing down to regional and local races — had been suspended, the omission of racing from the SCCA’s mission was prudent. 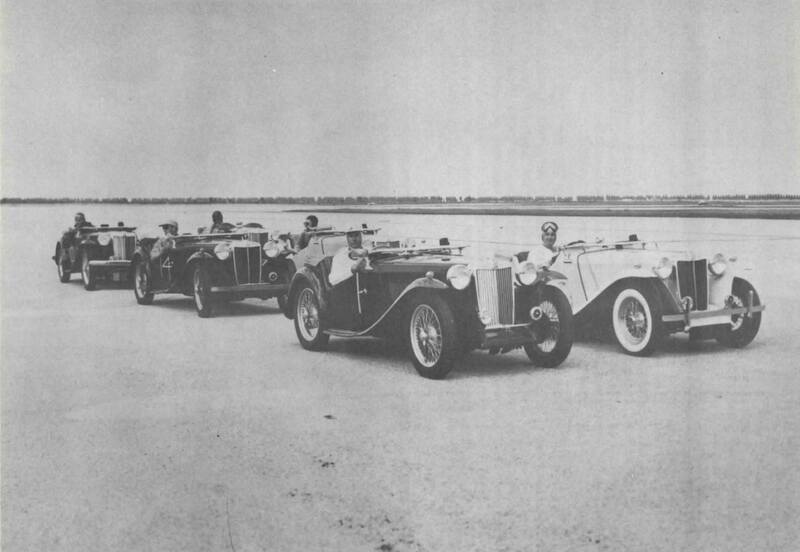 However, as Terry O’Neil pointed out in Runways & Racers: Sports Car Races held on Military Airfields in America 1952-1954, the SCCA’s founders likely deferred to the Automobile Racing Club of America to organize sports car races, unaware that ARCA had disbanded for good in December 1941. The SCCA did, however, host hillclimbs and rallies in those early days as part of its stated goal to keep sports cars in use and out of garages. So, when it became clear that ARCA would not re-incorporate after the war, the SCCA’s directors — perhaps reluctantly — decided to organize road races around the Northeast, perhaps most conspicuously at Watkins Glen starting in 1948. January 1949 at Broward Speedway. Photo courtesy SCCA. According to J.A. Martin and Thomas E. Saal, writing in American Auto Racing: The Milestones and Personalities of a Century of Speed, when the American Automobile Association decided in 1955 to stop sanctioning road races due to the increasing number of deaths of racers as well as spectators, the SCCA stepped in to become the premier road racing sanctioning body in the Eastern United States. To make racing safe — not to mention financially sustainable — and to comply with new state laws designed to move racing off public roads, the club moved racing onto dedicated tracks and Air Force base landing strips. The adoption of racing events, according to O’Neil, was “well supported by the membership, with many of the competitors driving to the events, racing, then driving back home in the same car they would use day-to-day.” For the SCCA, road racing would remain a strictly amateur sport until 1963 when, pressured by the rise of professional racers on the West Coast, it inaugurated the U.S. Road Racing Championship, later succeeded by the Can-Am and Trans-Am racing series. 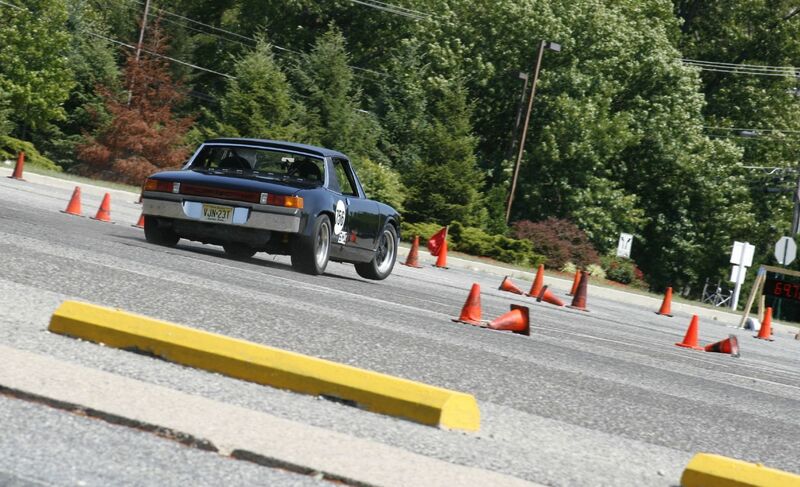 While individual racing series have come and gone throughout the SCCA’s history, the inclination to drive sports cars — on the track or on the road, professionally or as an amateur — has remained, and the club nowadays claims 67,500 members and a calendar of events ranging from hillclimbs and road racing to autocross, road rally, and rallycross. For more information on the SCCA and its 2019 event calendar, visit SCCA.com.